Recently I have designed some mini animals that will fit on an eight by eight swatch of faux suede. 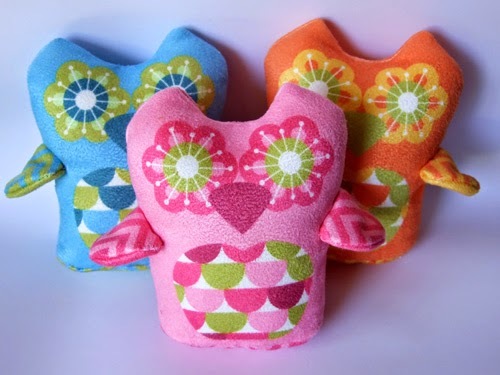 This is a little tutorial for the owl, the printed fabric can be purchased from Spoonflower. I have used the faux suede because it is beautiful to hand stitch. First you will need your owl swatch. You will also need scissors, a needle and thread and some polyester fibre fill. The seam allowance is the paler area around the main image, approximately 4mm. You will need to cut on the outside of these areas. Once the pieces are cut out you can stitch around the owl, leaving the base open, and around the wings leaving a gap to turn through. I hand stitched using back stitch because it is nice and strong. It is a good idea to snip the corners and around curves to have a nice smooth shape when it is turned through, although this is not absolutely necessary on the faux suede. The base of the owl can now be attached, I started at the side seam and then along the front of the owl so that the closure is on the back. Then turn through, smooth the seams, stuff and sew shut with a slip stitch. 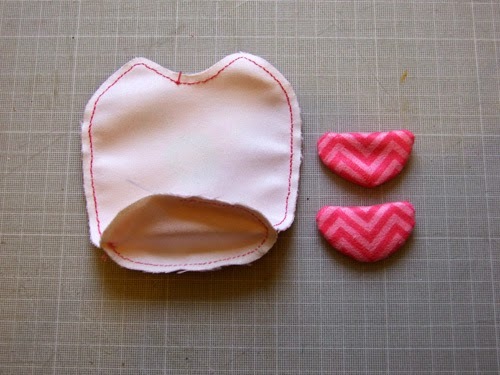 The wings can be turned through and stitched shut with a slip stitch. It is not necessary to fill the wings with fibre fill. TIP - a crochet hook is excellent to smooth out the seams and corners on the inside of the owl and wings once they turned through. The final step is to attach the wings. I started with a small stitch under the wing on the front of the owl and angled the wing up to the side seam and then back down again on the back of the owl. This gives a nice curve to the wing.